I had heard of Thomas Berdinski through a few people on Facebook and they really liked his movies. Well living in a small town there is not a chance of seeing anything out of the ordinary on the movie shelves here. Now with all the video stores gone(cue the tumbleweeds)there was only one way to see his stuff. A website that is no longer around had for a weekend shown his short film “The Giant Rubber Monster Movie” and with that if you emailed them you would get a collector Sascratch card-I did just that I still have my card as well. Now time has passed and I have since become friends with Thomas(audience cheers! )and he sent me a copy of his movies The Italian Zombie Movie Parts 1 & 2 with the BONUS of The Giant Rubber Monster Movie. I cherish the DVD as that means allot to him as a filmmaker and to me as he sent it directly to me, that being said he also agreed to an interview with yours truly , lets do that shall we? Ha ha – YES! 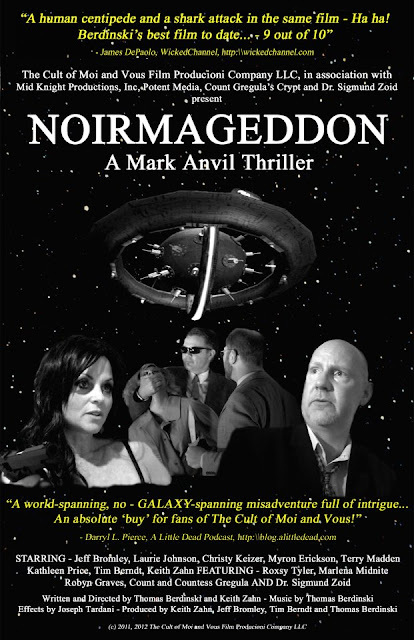 But that said, I have three more films that will likely be completed sooner: “Noirmageddon – A Mark Anvil Thriller” (which recently premiered at the Motor City Nightmares Film Festival near Detroit, Michigan and SOLD OUT on DVD during the convention!). “ToT” (a new science fiction homage to a favorite 70's TV show...) and “Alien-Beast-Fiend” (an homage to low budget 80's monster movies). 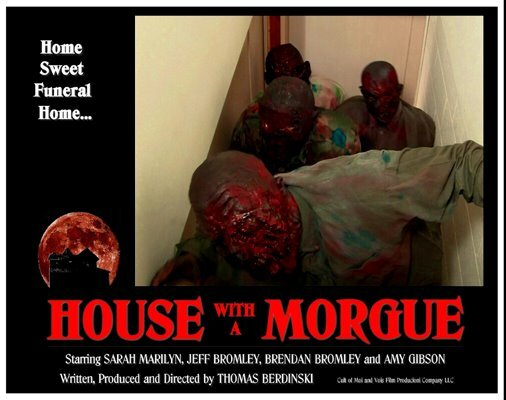 In May, “House with a Morgue – The Italian Zombie Movie Part 4” will be showing for free for a limited time (can't say where yet) and then we'll get back to Part 3 LOL! Why did you want to schlock the world? Was it all Ed Woods fault - John Waters - Troma Studios or those damn Killer Klowns? Love them all, but I would have to give Todd Sheets the most credit. 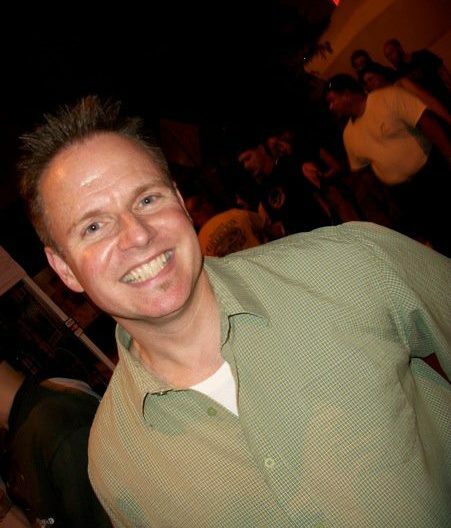 He's a guy out of the Kansas City area who made a slew of very low-budget (he used to boast they cost less than a used car) shot-on-video horror flicks in the very late 80s, 90s and early 2000s. These were relentlessly gory horror flicks that were pretty weak technically (bad lighting, cheesy effects) with very little acting or plots, but gosh darn it – They weren't dull and he got them out there on VHS to the point where you could buy them on Amazon and several other outlets. Here was a guy with little to no money selling his movies all over the country on VHS. He became our inspiration, mostly from a marketing standpoint. Do you ever want to hire professional zombies or just work with what you already have? In that I mean any that have worked in Hollywood or just do you just wait for them to rise? Ha ha – Well, I work on the west coast, just not THAT west coast! We are located in Muskegon, Michigan which is on the west coast of the state and right on Lake Michigan. I have a group of friends (many I've known since elementary school) who I like making movies with and hope to continue to do so with. 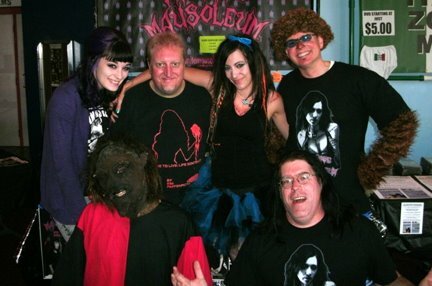 I recently started bringing horror hosts into my films because I am a huge fan what they do and many have become my friends on the horror convention circuit: Marlena Midnite, Roxsy Tyler, Count Gregula, Dr. Sigmund Zoid, to name a few! We do have plans to bring more established actors into future projects. I have noticed you hire a lot of women with big eyes is that a coincidence or just habit? I think YOU'RE the one with the big eyes – LOL! 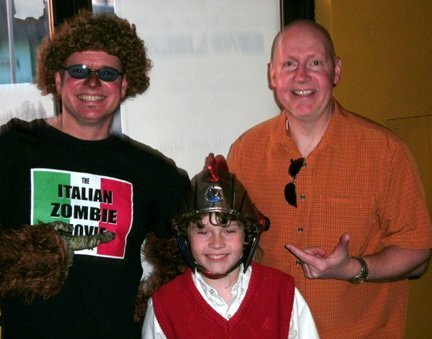 Hmm, it must be coincidence because, for example, LaShelle Mikesell (one of the stars of “The Italian Zombie Movie”) I have known since 10th grade, while Laurie (Beckeman) Johnson was introduced to me by a friend while we were casting “The Italian Zombie Movie”. They both just happen to have big eyes and great bodies. Wait, that really doesn't prove it's a coincidence at all, does it? A habit it is, then! What/who were your inspirations in terms of getting into film making? It is just something I have always done. I started making horror and sci-fi comedies with plots, special effects, etc., when I was 8 years old, using a wind-up 8mm camera my grandfather gave to me. I entered film festivals in junior high and high school, went to college, got a career in environmental protection and proceeded to spend all of my money building a small film, video and recording studio. I have always wanted to make my own, truly independent movies. I have never wanted to make movies for other people. 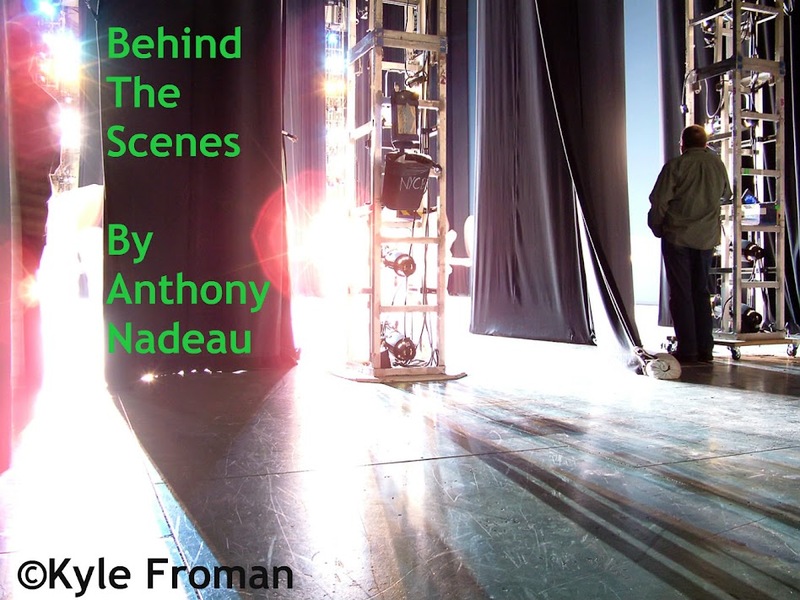 I'm not a director for hire – I only plan to direct my own scripts and I usually finance them myself. Does it take you a long time to figure out what you are going to write next, do you have a few things going at the same time script wise? Oh, how I wish I had that problem! I always have 3-5 ideas brewing. Just as an example, right now I have two completed feature length scripts, one short script that we are expanding to a feature, and treatments for at least 3 more features. We'll be shooting “ToT” in May, probably running through the summer, and I fully expect that during the downtime I'll be writing something else. I also recently got the short story bug and want to write more of those. I had a great time writing for “Curved Space – The Adventures of Stella Star” (an homage to the 70's era Italian sci-fi cult classic “Starcrash” starring Caroline Munro) that we put out in 2010 to great reviews! Your music you do yourself I noticed there is a cheesiness in some of the tones, you just want people to have fun watching your films don't you? The movies you have seen (“The Italian Zombie Movie”, “The Giant Rubber Monster Movie” and “Noirmageddon”) were homages to other low budget movies. I wanted the music to pay homage to these film genres as well, so I tried to keep it authentic in terms of style and instruments. 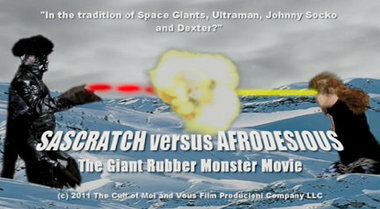 Many people have commented that “The Italian Zombie Movie” music reminds them of Gobin's work in the 80s and the music in “The Giant Rubber Monster Movie” sounds like the “Space Giants” at times. I love hearing that because that was the kind of music that inspired me. I enjoy writing all styles of music. For “Noirmageddon”, I went with a darker, low-budget jazz vibe (just 3-4 instruments), and wait'll you hear the music in “House with a Morgue”! It's violent church organ music – LOL! I have noticed the love for you all over the internet, the bloggers and other filmmakers sure do hold a lot of respect for you (as do I) how does that help you with your work, does that add more pressure? None at all, honestly. The support for my films has been nothing short of incredible and is VERY much appreciated, but it didn't start out that way... 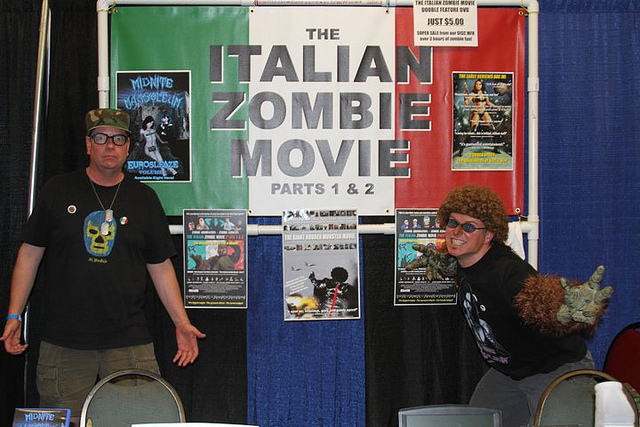 When we made “The Italian Zombie Movie” and played it at our local indie theater, I really had no idea when, where or if it would ever be shown again. Our local movie reviewer wasn't particularly impressed by it. There was a great crowd for Part 1 and a lesser crowd for Part 2. A few months later, I took it to Tromadance and there was a film critic there. He was very stoic while watching it but the audience was great, including one guy who came up to me afterward and thanked me for making “the perfect homage” in his opinion. As we were getting ready to leave, the critic quietly came up to me and showed me what he was going to write... He absolutely raved about it and named us the best movie experience at Tromadance. The guy was a bad movie fanatic just like me and got ALL of the inside jokes! The thing about movies is you need to find and show it to YOUR audience. I made “The Italian Zombie Movie” (and every movie I make) for me, and for bad movie fans like me. I don't like every movie out there, no one does, but I know what I like, and the bloggers, reviewers, etc., who have tracked me down generally like the same stuff I do. That's why almost every review has been positive, in my opinion. My audience and I have found each other! 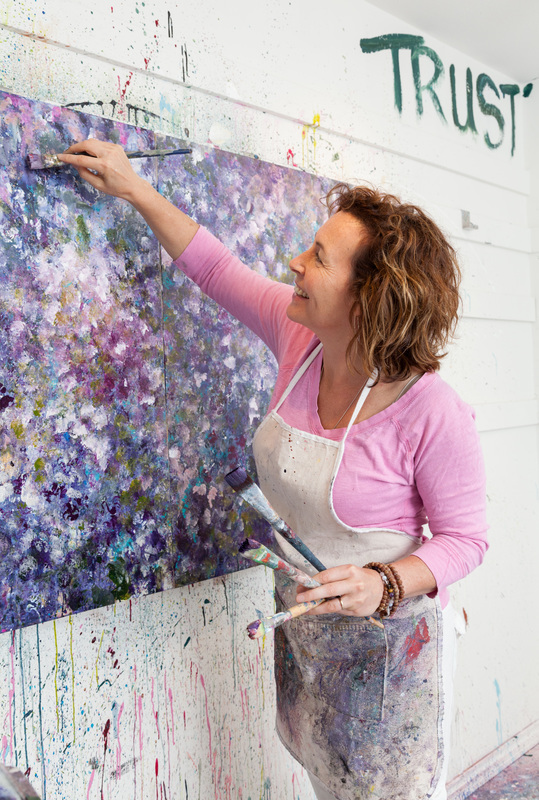 Where do you see yourself in five years from now?Does your parents approve of what you do? Five years from now my parents are hoping I am not living with them – LOL! But seriously, in five years, I hope we are making bigger budgeted movies, with more b-movie actors and more people involved on the special effects side. I enjoy doing the make-up effects in-house, but it is a huge time commitment when you make gross-out flicks like ours. I wish we had some kids locally who were really into that gross stuff, but there aren't any within about 3 hours of here. I even struggle to find people to play zombies – if you can imagine that! Sadly, the area I live in is not especially supportive of independent arts, or gross horror comedies for that matter. Meanwhile, my parents really enjoy my flicks. My Mom got me interested in horror at a very young age and continues to spend my inheritance on horror DVDs! Ha ha – Thank you! That entire sequence with the miniatures was shot on a card table about 3 feet square in front of a green screen. 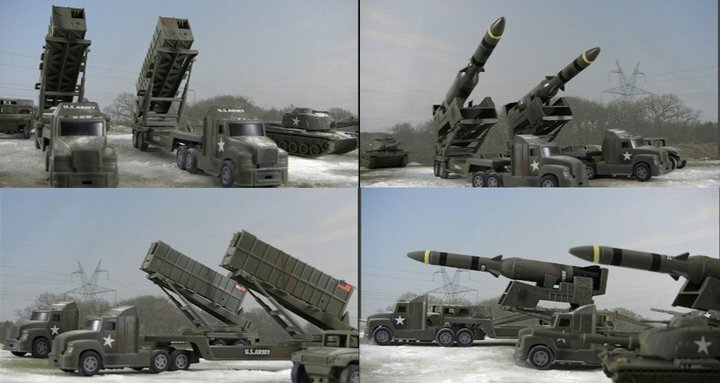 Talk about complex composites! I pushed and pulled the tanks and rocket launchers around, trying to keep the strings strings hidden, and even more desperately trying to keep my cats from attacking them! In closing: When can we expect to see something NEW from you and the gang? If all goes well, “Noirmageddon – A Mark Anvil Thriller” and “House with a Morgue” will be having their WORLD PREMIERE together, very soon, on a very special show that I have been a part of from time to time. There are still details to hash out, so I can't say more, but I expect it will all come together later in May 2012. After that FREE world premiere we will have them for sale on DVD at conventions and probably Amazon and a few other outlets. In closing; The sequel --Will you be heading to any conventions/shows any time soon? Having just done Cinema Wasteland and Motor City Nightmares (two FANTASTIC midwest conventions, by the way) we plan to do very few conventions this summer while we shoot our next feature “ToT” and at least start “Alien-Beast-Fiend”. Starting in the fall, you can expect to see us at the Paranormal Fest in Pontiac Michigan, Cinema Wasteland and hopefully several more. We love horror conventions and I strongly encourage any horror fan to visit them. Not only will you find cool DVDs, movie memorabilia and get to meet the stars of the genre, but you'll make great, lifelong friends! I know I have! 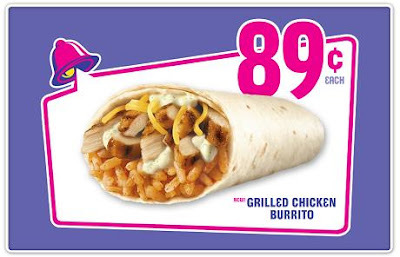 In Closing: Chapter 3; A New Beginning—How was lunch today? Thanks so very much to Thomas Berdinski for doing this interview.